Ideal for holding one 84"+ flat screen tv for a hard to miss display. 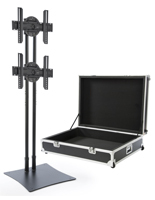 These completely portable LED TV stands knock down into transport case for portability. 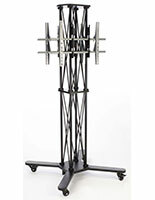 10' Tall display draws attention from across a room at any event. 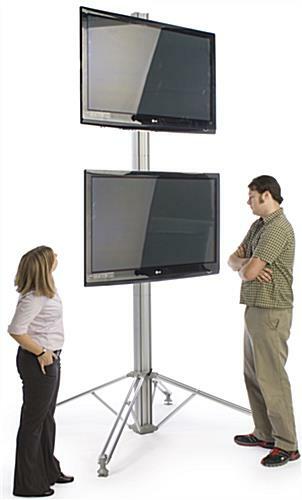 Mount 2 televisions on LED TV stands up to 60", each weighing less than 80 lbs. 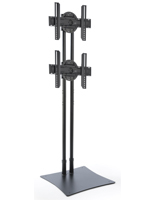 Easily holds (Two 40" or 42" monitors); or (Two 50" or 52" monitors). The 2nd television bracket can be disregarded for single monitor use. Note: Single use of extra large monitors (84"+ sizes and greater) on LED TV Stands are limited to 142 lb bracket weight limitation. LED TV Stands Include Travel Case! 10' Tall to Stand Above Crowd! 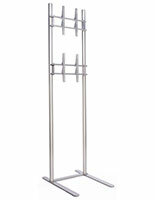 These LED 84"+ TV stands are portable, making them ideal for trade show use. This display easily breaks down into smaller pieces to be more manageable. 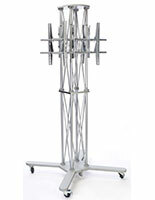 The plasma screen television displays, LED 84"+ TV stands include a travel case that houses all components of the unit. 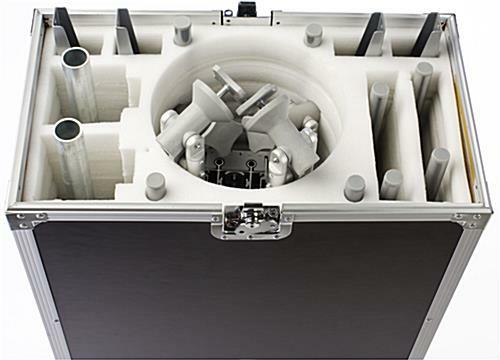 This case features locking wheels as well as latches that can have a lock inserted for security purposes. 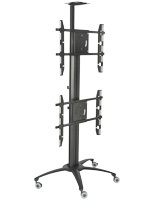 These LED 84"+ TV stands can display (2) plasma or LCD televisions that weigh up to 80 lbs each. 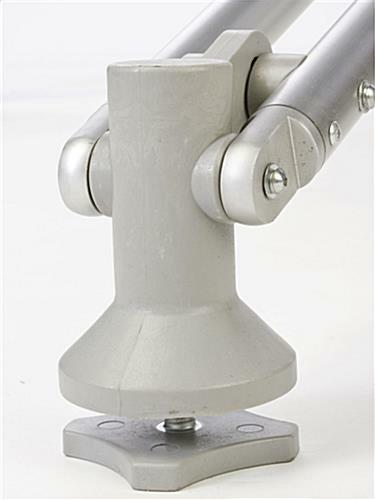 All necessary washers, screws, and spacers are included for mounting purposes. A single monitor mounted on the top of the display in either orientation really captures the attention of attendees from across the room. 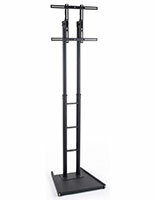 This television mount, also known as a monitor rack has additional the ability to mount (2) large televisions for optimal viewing by the customers or passersby. LED 84"+ TV stand can mount a 84"+ LCD plasma including brands such as LG. 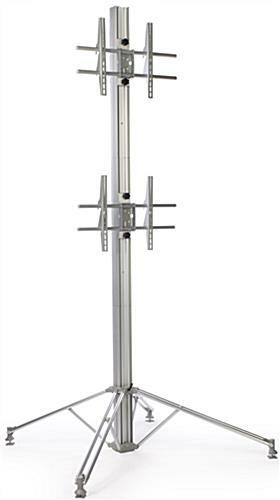 This LCD bracket is compatible with mostly every television brand allowing all brands to be mounted to this dynamic stand. 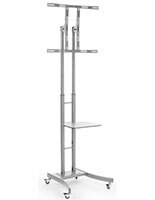 Mounting a 84"+ plasma to this LCD TV stand makes this unit attractive for tradeshows and events and will tower over the competition. 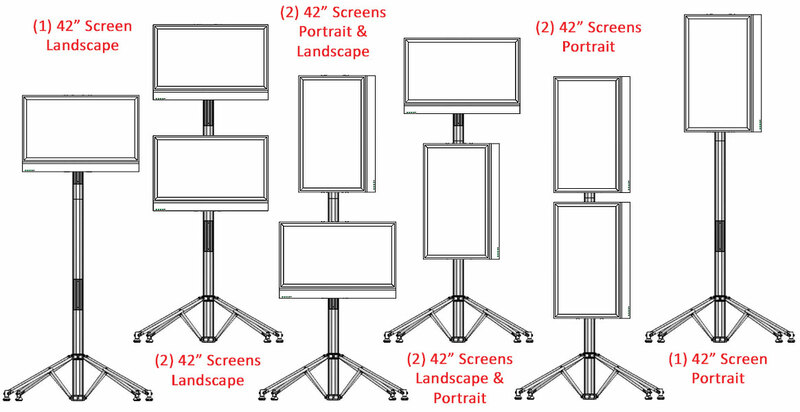 LCD displays, flat panel screen mounts, and other LED 84"+ TV stands can display televisions in either landscape (horizontal) or portrait (vertical) orientation. 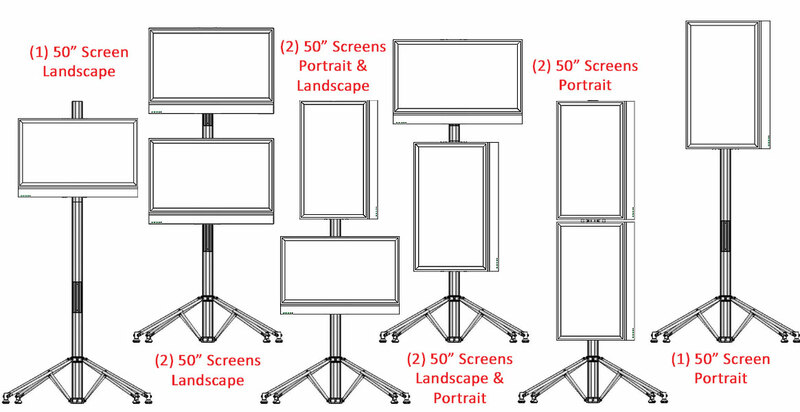 Monitors can also be displayed with one in landscape and one in portrait, or only place a single monitor on the top mount to tower above the crowd. These plasma displays, LED 84"+ TV stands have floor levelers on each of extended legs, similar to some home-use models. 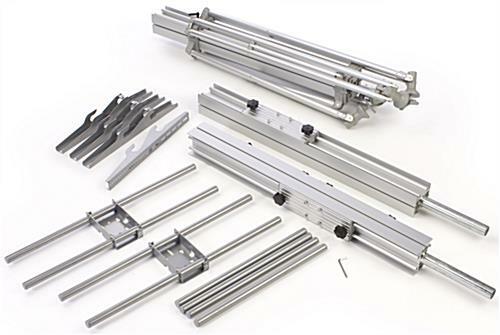 These levelers will help stabilize the stand on uneven surfaces. This television stand sets-up in minutes, but mounting monitors on these displays is no easy feat. Professional lifts are recommended. Please Note: This case is not recommended for international shipping, as it is designed for local transport or transport with your own truck. The dimensions listed on this page are for overall width of the television, not the screen size. 57.0" x 118.0" x 54.0"
24.5" x 57.1" x 13.9"